The Little Whisk & Co: Kikki K Create Review. Let me start off by saying that I am 100% an Instagram addict, and I am not afraid to admit it. I am constantly refreshing my news feed and awaiting for fresh inspiration and pictures to be posted. I love to see snippets from someones life, everyday rituals and loves through photographs and of course those hashtags! I follow a whole range of people from Youtuber's, Bloggers, Health lovers and friends - one of my favourite things to do is hunt for new users. Kikki K have added a new feature to their company, which to be honest has probably been around for a little while now called Create - but I have recently only just discovered the magical creation. 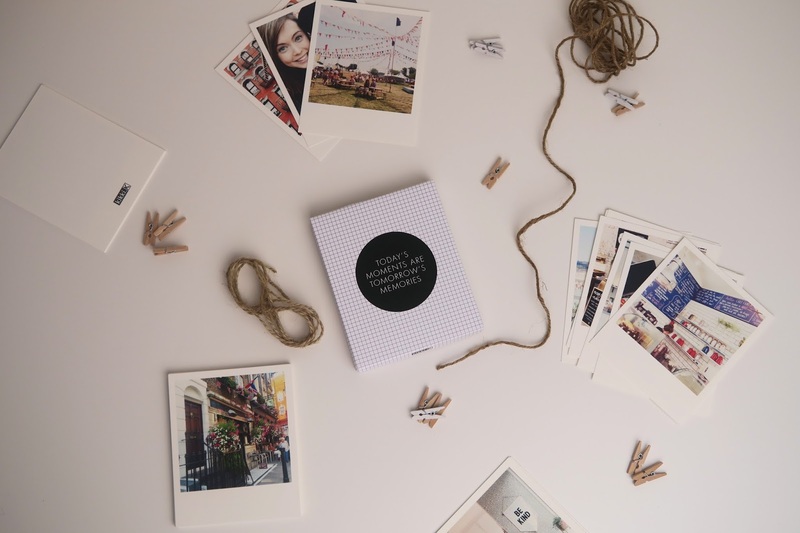 It is a place where you can have your photos printed in a number of styles including classic Instagram prints. 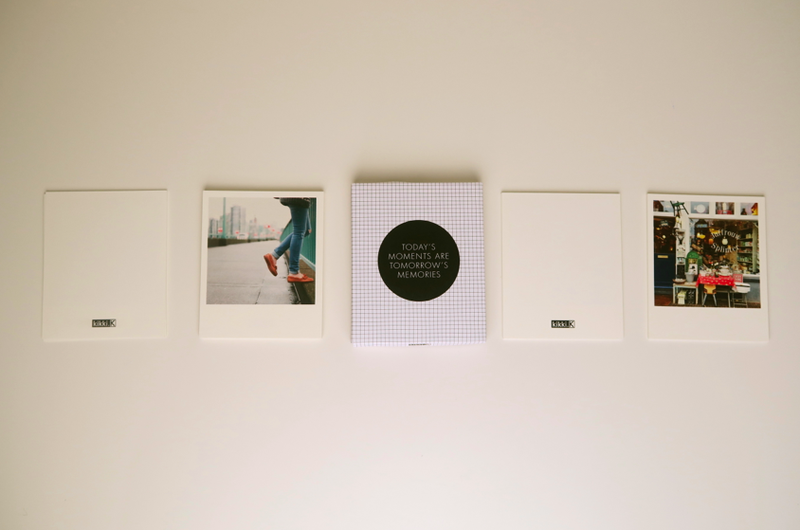 You will receive 32 polaroid-style prints that are delivered straight to your door in a beautiful black and white box. Kikki K have simply created an incredible personalised photo service that makes the whole process so simple, as it all completed via their website - simply click and drag the snaps your love into one of their suggested printed collections and from there it is very straight-forward and extremely user friendly. I decided to choose photographs from fellow Instagramers that give me inspiration, motivation and just simple happiness, as I just fall in love with their snaps that they post. I decided the bunting style was a wise choice to display the images, as it is easy to rotate them by using mini pegs as well as having a continuous flow of creativity right above your work desk or around the room/home, which makes working a little less tedious. I already have a collection of images that I will be using for my next order - whether that is individual prints or an Instagram book (how awesome is that?) - I am not one hundred percent sure I will have to see what happens! 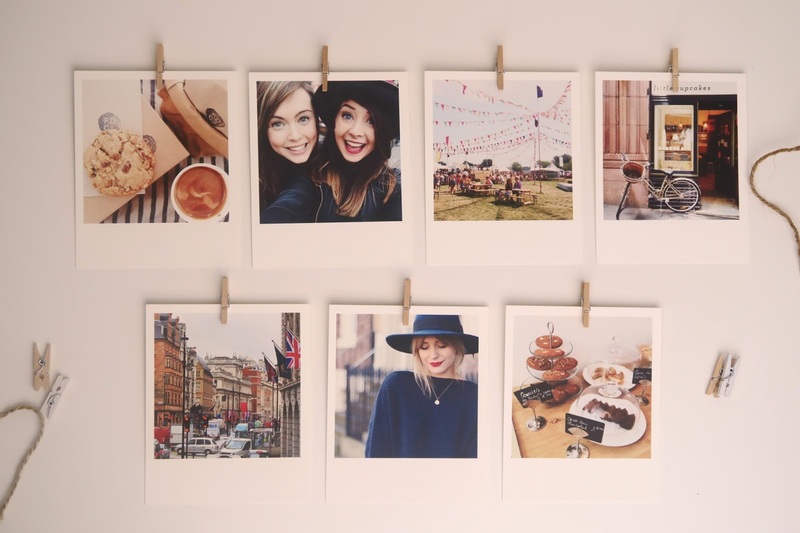 I hope you enjoyed this post and get on board with printable Instagram photographs.